Khader Adnan the 33 year old Palestinian prisoner in Israel without any formal charges against him arrested for “activities that threaten regional security” ended his 66-day hunger strike after a deal reached for his release from custody on 17 April. 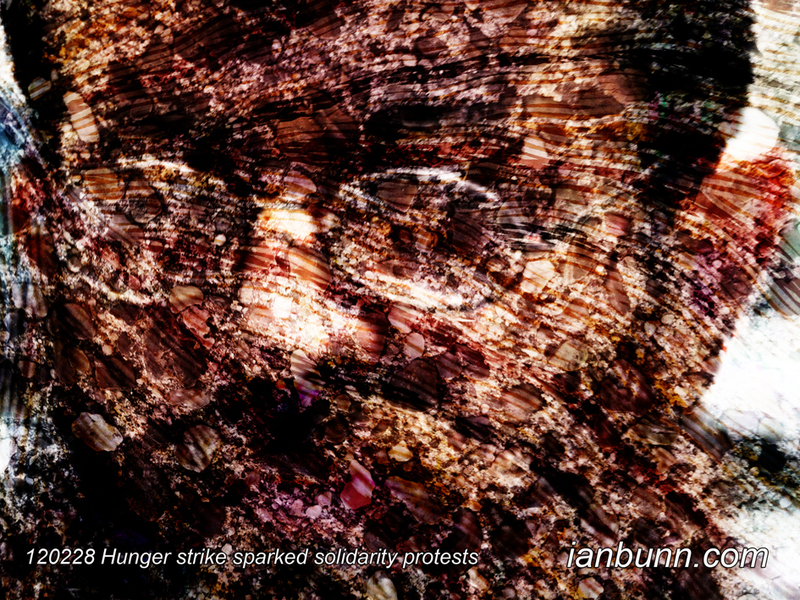 Adnan’s hunger strike sparked solidarity protests across the West Bank and Gaza, and sympathy hunger strikes by other Palestinian prisoners. Catherine Ashton, the EU foreign affairs chief, said that Adnan’s case was of “great concern… Detainees have the right to be informed about the charges underlying any detention and be subject to a fair trial.” An Israeli government spokesman Mark Regev had defended the use of administrative detention orders, saying Adnan was “no boy scout”. According to the Israeli human rights group B’Tselem, “over the years, Israel has held thousands of Palestinians in administrative detention, for periods ranging from several months to several years”. Under international law, the measure can be used “only in the most exceptional cases, as the last means available for preventing danger that cannot be thwarted by less harmful means”.